Although Illinois seniors are seeing improvement in clinical care, the state still ranks nationally in the bottom third in 36th place, according to the just released United Health Foundation’s America’s Health Rankings Seniors Report. The report notes that since 2013, preventable hospitalizations in Illinois decreased 26 percent from 75.0 to 55.8 per 1,000 Medicare enrollees. Other positive news includes a low number of depressed seniors (ranked 6th nationally) and a high percentage of able-bodied seniors (ranked 14th nationally). However, among factors dragging the state’s overall number down are high prevalence of obesity (ranked 46th nationally), a 23 percent increase in excessive drinking (now ranked 42nd nationally) and the low percentage of seniors in Illinois with recommended health screenings (ranked 44th). 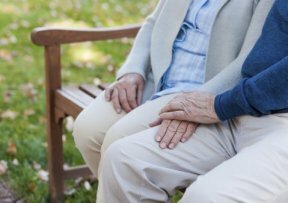 Similarly to Illinois, seniors nationally are experiencing improvements in clinical care, according to the report. New data also shows, however, that seniors are facing higher social and economic barriers that are putting their overall health at risk, according to Dr. Rhonda Randall, chief medical officer of UnitedHealthcare Retiree Solutions. Research shows that up to 75 percent of Americans aged 50 and over could be unprepared and unaware of looming costs in retirement and health care. Minnesota ranks first as the healthiest state for seniors, while Mississippi ranks 50th. America’s Health Rankings Senior Report, in its fifth edition, offers a comprehensive analysis of senior population health on a national and state-by-state basis across 34 measures of senior health. More information is available at http://www.americashealthrankings.org/.